Am I Limited in the Number of Children I Can Adopt? I will never forget the days I spent at my daughter’s orphanage in India. All around me I saw beautiful, loving children waiting for their forever families. Our family only had two children (my son from China and my daughter from India). Adopting again would be possible, but would we be limited? As any family who has considered adoption can relay, building a family through adoption is a beautiful path but there are restrictions. Both states and countries have age and income qualifications, some countries have marital restrictions, and still other countries have health constraints. But what about the number of children currently in a family? Domestically, adoption is governed primarily on a state level. This means that rules and regulations concerning states’ policies on advertising, birth mother expenses, and consent laws vary significantly. Depending on the state in which the prospective adoptive family resides, families wishing to adopt either privately, from foster care, or internationally will be limited by the number of children they may welcome into their homes and hearts. In Maryland and Texas, for example, adoptive families may have only 6 children (under the age of 18) residing in their home; other states allow for up to 8 children. Exceptions are possible if a prospective adoptive family is open to sibling groups or children with special needs. International adoption varies by country, much like how domestic adoption varies by state. Within the top five countries to adopt from in 2019, China allows for no more than 5 children residing in the home. South Korea limits prospective adoptive parents to 4 children currently in the home, and India allows for no more than 3 children already in the home. Other countries, such as Colombia, Haiti, Ecuador, and Honduras have no restrictions on the number of children a family can adopt or the number of children currently residing in the home. That said, even though the sending country may allow it, the state in which the prospective adoptive parents live may not. 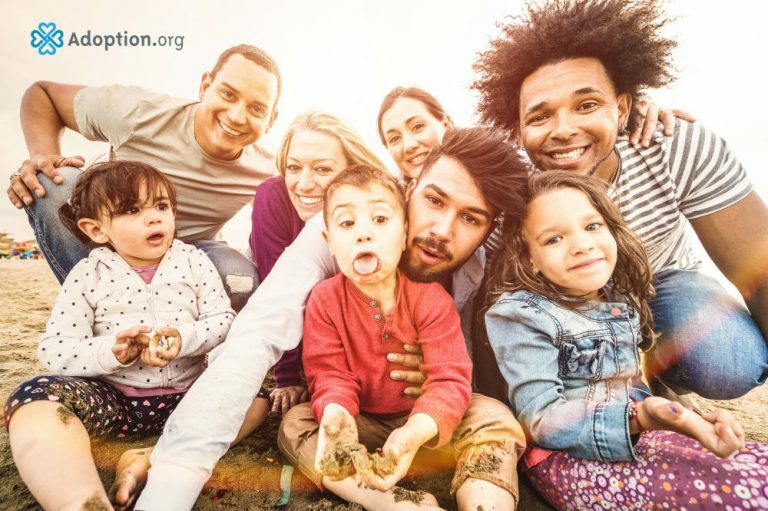 Families interested in building a large family through adoption should consult with a state-licensed adoption professional to find out what, if any, restrictions apply. Have you built a large family through adoption? What was your experience like?